The Rhinoceros Theatre Festival, created for the 30th year by Curious Theatre Branch and Prop Thtr, is presenting a full schedule of 41 plays in a six-week performance marathon in its home at Prop Thtr in Avondale. On my first visit to this year’s fest, I was handed my ticket by Beau O’Reilly, one of the founders of Curious Theatre Branch. Then heading to the concession stand, I found Prop Thtr’s former artistic director Stefan Brun tending bar. A very hands-on operation, RhinoFest is a labor of love for all concerned. The Rhinoceros Theater Festival began in 1988, when O’Reilly and Jenny Magnus, then performing with cabaret rock band Maestro Subgum and the Whole, founded the Curious Theatre Branch. RhinoFest originally took place across several venues in Wicker Park, later moving to Rogers Park, and landed at Prop Thtr in 2009. Prop and Curious now co-produce the festival each year, with all shows and events taking place at Prop’s Elston Avenue headquarters. Our Kim Campbell interviewed O’Reilly about RhinoFest three years ago. This year features many young performing companies including The Neighborhood Collective, El Bear, Uploose Odditorium, and others along with festival veterans including Chicago playwright Barrie Cole (performing from her latest work in a two-evening engagement), animator Chris Sullivan, Susan Parenti and Mark Enslin (of the School for Designing a Society), Charles Pike (performing a new monologue by David Hauptschein), and Prop Thtr co-founder Scott Vehill. Littlebrain Theatre premieres a new devised adaptation of Vittoria de Sica’s Bicycle Thieves written by Zach Barr, Tara Branham directs Tanuja Jagernauth’s new interactive work Lockpickers, and Rob Onorato performs Night of a Million Barbras, a drag monologue and political paean. Curious Theatre Branch premieres Matt Rieger’s new comedy My Dinner with… Joe and a staging of Caryl Churchill’s dark fairytale The Skriker. This year’s festival runs through February 24 at Prop Thtr, 3502 N. Elston Ave. Tickets forare $15 or pay what you can, and run daily except Tuesdays. Find a complete schedule with performances, dates and times at RhinoFest.com. Here are three RhinoFest reviews. Infinity Burns by Felix Abidor and the Tikkum Olam Theatre Company premiered last Wednesday. Goose by Michael Yichao and The Skriker by Caryl Churchill are weekend productions. Brewerton, Duvall, Abidor and Florence-Steddum. Abidor is a soulful and snappy Bruno, not hesitating to take on his captors whenever possible. While Borghese is performed as a gleeful brute by Brewerton, Bellarmine is a more thoughtful and sympathetic figure (occasionally). Throughout the inquisition scenes, the four actors engage in choreographed movement that takes what might be a dry story of theology and heresy onto another creative plane. The Infinity Burns poster. Statue of Bruno in Rome by Ettore Ferrari. Bruno believed there were planets outside our solar system and many earths besides our own. We are tiny fishes swimming in God’s infinite universe, he insists, and God is everywhere in everything. Ultimately, Bruno is charged with disparaging the Bible and the church, and believing that human souls can be transmigrated to other beings. Near the end, he does recant, and then unrecants. (This was something he had done before, according to one writer, who said Bruno “turned concession into a springboard for reasserting his position.”) Hermes tries to talk him out of it, to no avail. Infinity Burns includes music by Calvin Hitchcock and lighting design by Dan Watt. The bare stage in Prop’s front theater includes only a small table and a chair. Abidor’s dialogue is theologically centered, where appropriate, and wildly modern at other times. The play runs just under 90 minutes and will be performed at 7pm on Wednesdays through February 20 in Prop Thtr’s front space. Rivera and Lino. Photo by Brent Ervin-Eickhoff. Goose is a sweet circle of life story about Dallin as he turns 13 and again at 40. It’s a play about love, separation and longing laced with space, relativity and other scientific marvels that Dallin (Joe Lino), a science nerd, reflects upon. Brent Ervin-Eickhoff directs this play that tells a heartfelt story in an elegantly simply way. His father, a science professor, is away on some kind of three-month working trip so it’s just Dallin and Mom at home. Dallin remembers that Dad (Ryan Murphy) took him on a hunting trip before he left and Dallin learned to shoot geese. The hunting trip becomes part of Dallin’s dreamspace as he remembers the experience, learning how to listen for the geese (and to blow the goose hunting whistle). They encounter Goose (Isabel Rivera in an excellent puppet costume) and Dallin becomes a goose himself, soaring with Goose. As in real life, it all ends with a shot from Dad’s shotgun. RhinoFest is especially creative in scene design and props for Goose. Three folding chairs, a few pillows and a blanket become a sofa, a bed, a car and a picnic. The shotgun? A broom skillfully wielded by the hunter. The beautiful Goose costume was designed by Samantha Courter and Jessica Ervin. Goose runs about 80 minutes and you can see it at 12noon Saturdays through February 23 in Prop Thtr’s back theater space. Arrington and Rich as Josie and Lily. Photo by Jeffrey Bivens. The Skriker is played by eight different actors, the character suggested as the actor dons a long lime green scarf. The rest of the large cast is listed under the category of They Themselves, one of the recommended euphemisms for fairies or changelings, words that shouldn’t be spoken. Throughout most of the play, a person (Jayita Bhattacharya) performs yoga-like moves and energetic dance steps on the right side of the stage. Generally, it’s not ever clear who is performing which of the other roles. The Skriker is colorful, fanciful and often puzzling. The fairy in various guises played by various actors chases Lily and Josie around, attempting to seduce and manipulate them; the dancer keeps on dancing. The Skriker by British post-modernist playwright Caryl Churchill is different from most of her work in its fantastical and visionary style. She has always used her writing to explore issues of power, sexuality and feminism, but her earlier works (such as Owners, Top Girls, Serious Money) are more realistic in style than her later works—such as Love and Informationand A Number. The Skriker is on another plane of fantasy altogether, however. The Skriker plays in Prop Thtr’s back theater on weekends through February 24. Running time is about 90 minutes. Do you enjoy this post about a theater festival by one of Chicago’s great storefront theaters? 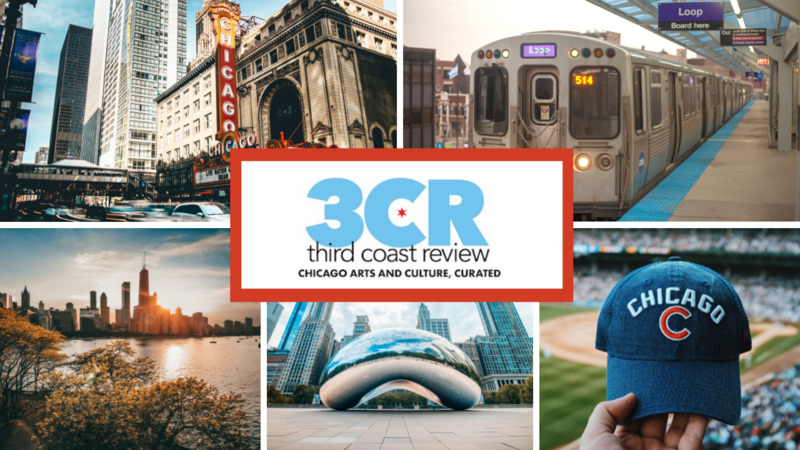 Third Coast Review gives you a look at all kinds of Chicago theater and all the other arts. Please consider supporting Third Coast Review’s arts and culture coverage by becoming a patron. Choose the amount that works best for you, and know how much we appreciate your support!